The DNA (deoxyribonucleic acid) molecule is heralded as the building of life! 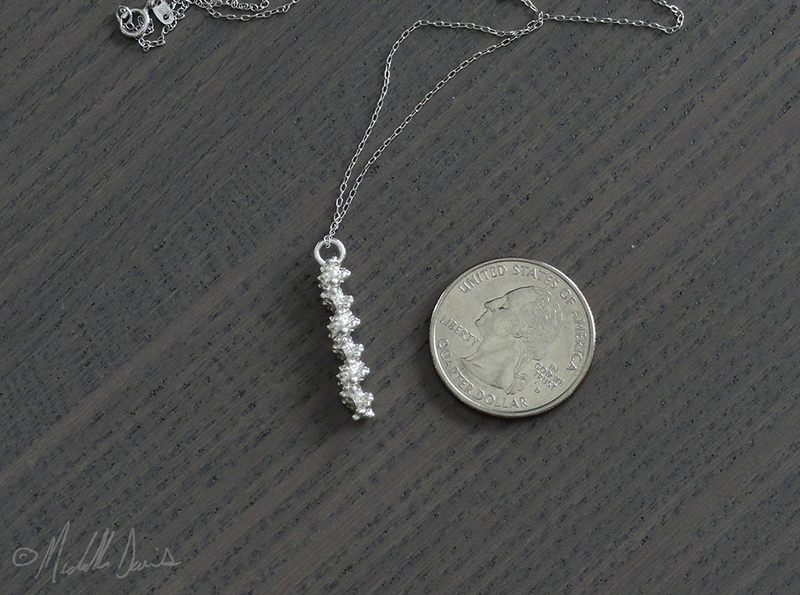 This scientifically accurate pendant shows a *very* small portion of the lovely double spiral form of DNA, and hangs in drop style form. It is lightweight and lays very nicely on the neck and upper chest. This all important molecule is crucial in ‘coding’ how we are formed biologically. From DNA our bodies make RNA, and from RNA comes proteins. Proteins perform innumerable actions and functions in building and maintaining our bodies. While our DNA can’t be changed, our environment and the actions we take affect how our DNA is expressed. 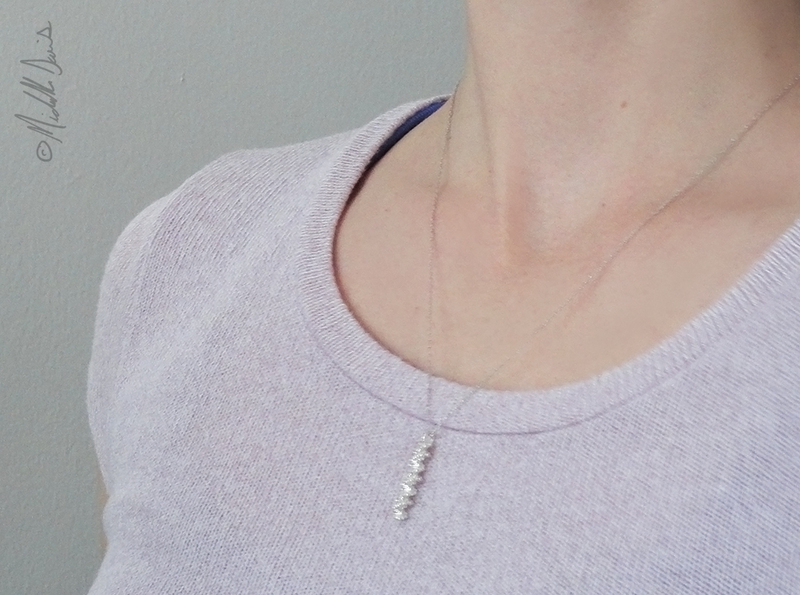 The form of this DNA pendant was constructed (under fair usage rights) from PDB (Protein Data Bank) file “1BNA”. Protein Data Bank files are created and submitted by scientific researchers who are able to establish with extraordinary clarity the detailed structures of proteins and molecules. A digital 3d model was created from this DNA segment, repeated a few times for length, and inflated minorly so that it could be produced and worn with durability. DNA’s double spiral form can take one of a few variations. This 1BNA file is an example of B-DNA and is the most common form DNA takes. 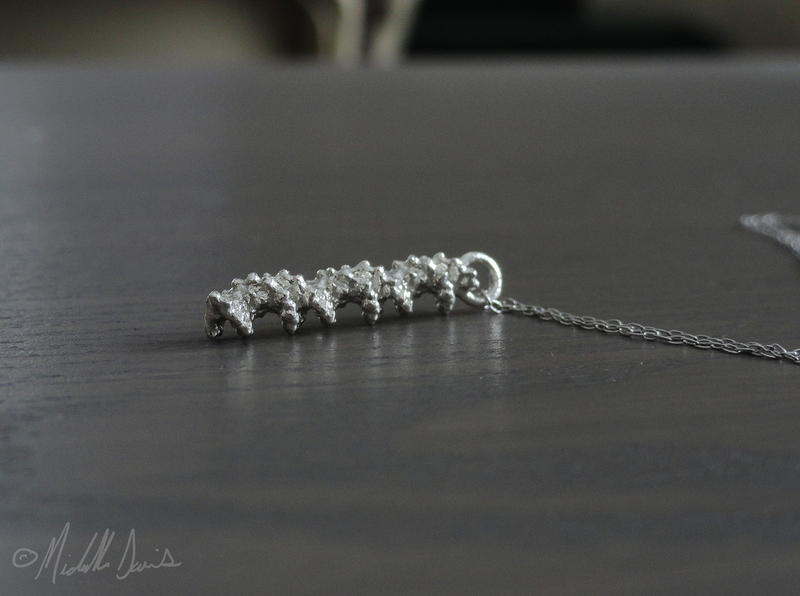 Read more about the making of the DNA pendant here!